Used to be underrated as stuff for the unemployed and those who don’t effort to earn a meal in the restaurant, nowadays, Hong Kong street food draws various loyal customers from all classes. Along with a variety of quality restaurants, Hong Kong is a paradise for street food-lovers gathering from all over the world. 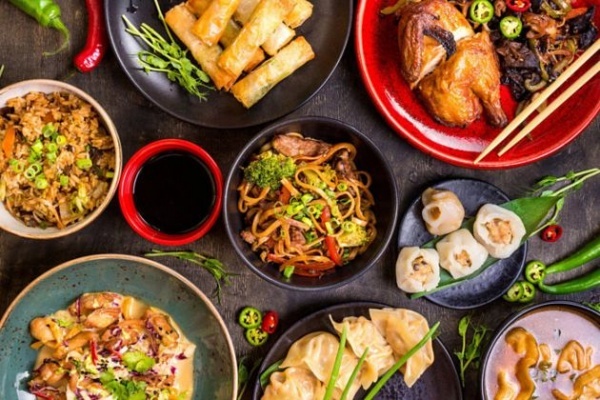 Enjoy your free time go shopping and visiting the city’s highlights, then boost your energy with scrumptious cuisine through hundreds of true taste of Hong Kong street food. For good reason, Shore Excursions Asia recommends the best street food you should try when visiting Hong Kong. You don’t have to come to Hong Kong to enjoy this crazy interesting food. It is so popular that became viral worldwide! Born to serve as kid stuff, egg waffle has proved its attraction by beginning to be a gastronomic symbol of Hong Kong street food scene. 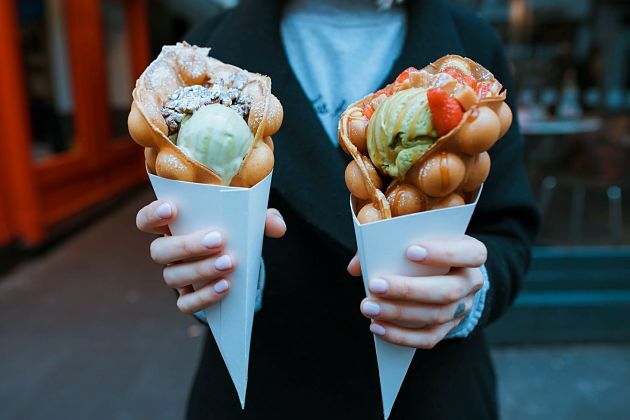 This street food has the origin being simply cooked on a charcoal fire, then transform into various different incarnations with dozens of flavors such as butter, chocolate, matcha, strawberry, banana, ice cream, and so on. If you are fans of potato chips, walk away from the classic and move to another evolved edition existing in many streets of Hong Kong – spiral potato chips. Instead of being cut into many slices, the whole potato is skillfully sliced into a big spiral skewered on a wooden stick and then is deep-fried. Appear as the tornado-shaped, this crunchy snack is served with numerous toppings such as pepper, seaweed, chili, and tomato sauce. The most suitable places to find this Hong Kong street food in tourist areas such as Cheung Chau and Mong Kok Island. Due to surrounding by the sea and the starting point was a fishing village, the metropolis Hong Kong nowadays is a heaven of seafood-lovers. In the modern city like Hong Kong, the best way to discover history is enjoying its street food, especially which it is famous for. One of these specialties is fresh squid grilled with a touch of soy sauce on the heat of the hot fire. This dish is cooked in the Cantonese style that the main ingredients are the stars, other additional sauces, and spices, instead of covering, just enhance the food. Another Hong Kong street food you should try is the curry fish ball. Dated back to the 1950s to meet the origin of this dish, curry fish balls rapidly became well-known. This snack is made with a deep-fried blend of corn starch and fish. With the delicious-looked alike, these fish balls are drizzled with curry sauce which is spicy or mild depending on customer’s favorite. 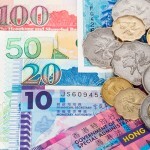 Hong Kong is worth the name of the multicultural country combined with many cultures. This effect is clearly revealed in Hong Kong street food. 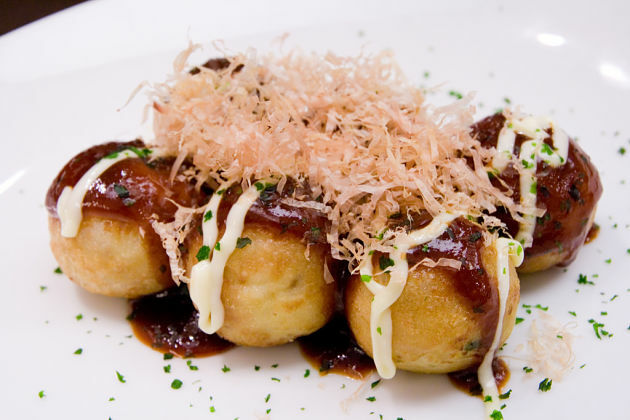 From the hometown of Osaka, Takoyaki balls have crossed the ocean to become a prevalent street food in Hong Kong nowadays. 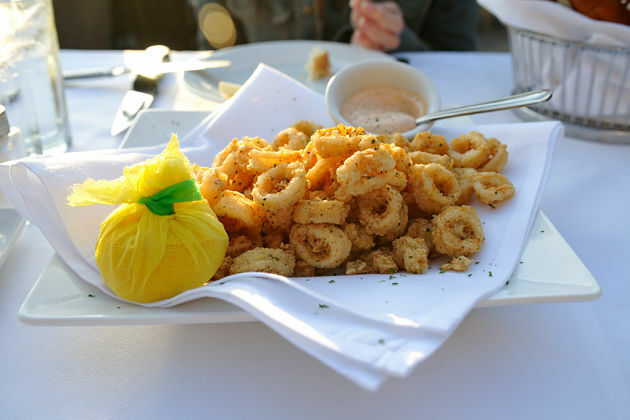 This fussy snack consists of grilled batter stuffed with cabbage and octopus. All the ingredients are stuffed in a quaint pan with many molds to shape the takoyaki balls and grill them until they have the golden brown color. The dish is usually served with shred seaweed, float bonito flakes, chili sauce, and mayonnaise on the top. Best taste when it’s still hot. 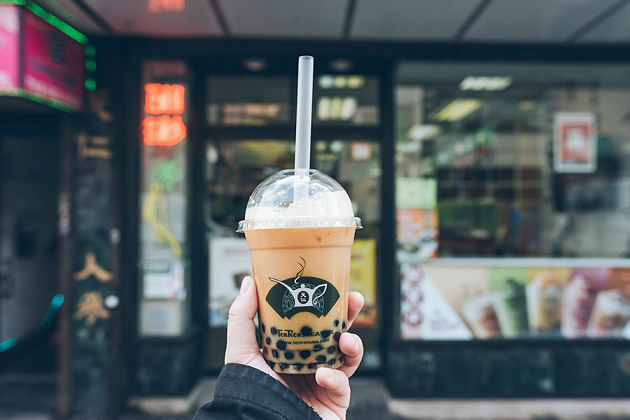 Having the origin from Taiwan, bubble tea has crossed out of that small island to other regions in Asia, Hong Kong is one of the most influenced. 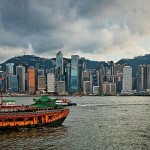 When coming to Hong Kong, it has achieved unbelievable popularity with the name means “pearl milk tea”. The star of this street drink is chewy tapioca balls in milk tea. Besides the original taste, many innovative flavors were added to evolve the bubble tea and bring a new taste for patrons such as chocolate, green tea, ginger tea, and even oolong. Bubble tea is best tasted with light snacks.